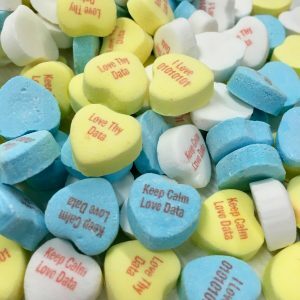 Emory Libraries is celebrating the importance of data during Love Data Week, February 12-16, 2018! Follow the conversation with data users around the world on social media with the hashtag #lovedata18. Each day of the week @EmoryLibraries will highlight resources for working with data at Emory. Look for us around campus sharing information and event swag too. To learn more about resources to analyze, organize, and share your data at Emory, check out the Research Data website.